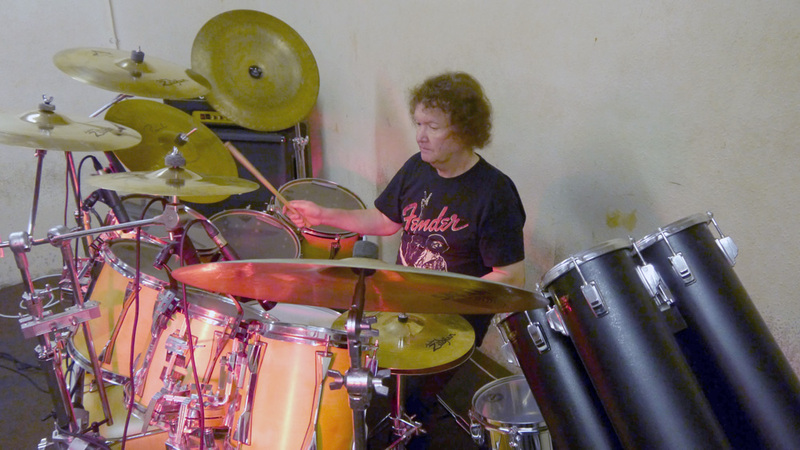 Former drummer for Eric Burdon, James Leslie Binks was a drummer on the 1974 Roger Glover album The Butterfly Ball and the Grasshopper's Feast, which featured such legendary names as David Coverdale, Glenn Hughes, and Ronnie James Dio behind the microphone. Vocalist Eddie Hardin co-wrote three of the album's songs with Roger Glover and then went on to release his own written and produced projects, the first of which was 1976's Eddie Hardin's Wizard's Convention, which again included Binks on drums with David Coverdale and Deep Purple's Jon Lord on piano. Through the Roger Glover connection, Judas Priest auditioned and hired Binks in time for their 1977 world tour - their first on American soil. 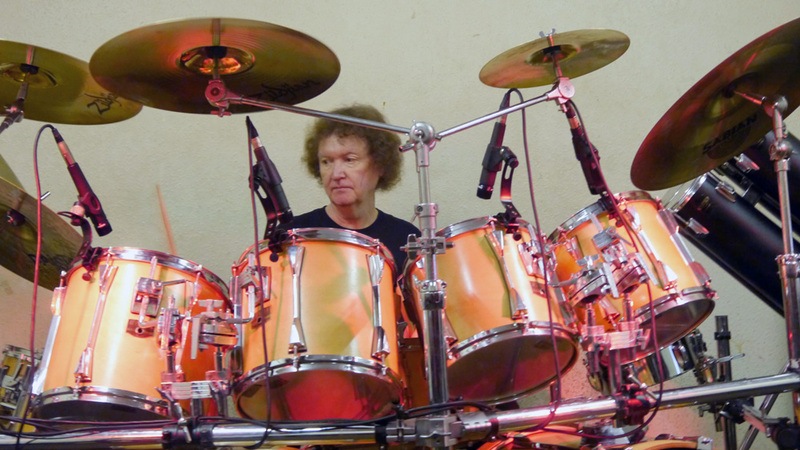 He also played for the English band Fancy..
Binks remained with Judas Priest for two years from March 1977 to July 1979,[recording two studio albums and one live LP producing impressive drumming on Stained Class and Killing Machine. Judas Priest at this time were seeking a move towards a more groove-oriented sound with less of Binks's complicated jazz-inspired playing. When asked if he could change his style, he replied that that was impossible and so he parted ways with the band under amicable terms just prior to the start of the North American leg of the Killing Machine tour. Binks has been co-credited for the song "Beyond the Realms of Death" on the Stained Class album. According to the band's memoirs he picked up one of the guitars, turnedit around (since he was left-handed) and strummed the first chords of what then became the main guitar line of the song. Aptly the guitar sound of the track is very different from the output of Downing and Tipton, having a mellower "medieval ballad" kind of feel. In 1979 Binks joined Charlie Whitney and Axis Point and remained active in the British hard rock/heavy metal underground. In 1981, he was a member of Lionheart which featured Dennis Stratton (ex-Iron Maiden) on guitar and Jess Cox (ex-Tygers Of Pan Tang) on vocals. It was only a brief stint, however, and yielded no albums, though they did open for Def Leppard on their 1981 British tour. Lately, Binks has been playing in a classic-rock cover band around South London called The Shakers with Dave Bunce, the Jeff Beck linked guitarist and ex-Alice Cooper guitarist Pete Friesen and vocalist/guitarist Tom Lundy of The Poormouth. Rounding out the band is bassist Phil Rynhart, founder member of the Poormouth. Binks and Pete Friesen have also done time in Metalworks along with ex-Iron Maiden guitarist Tony Parsons (Tony was one of a series of guitarists that played briefly in Maiden in '79 before Dennis Stratton joined the band), playing Judas Priest, Iron Maiden, and other legendary metal band covers around London. Binks also had a recent stint with an Irish country/folk/pop trio called the Faintin' Goats as well as past touring with Lionheart in 1981 and Tytan (1982�1983) soon after their first single release.